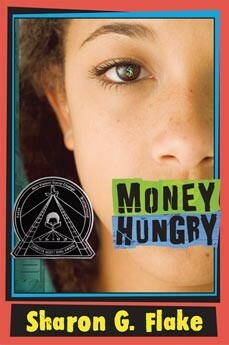 I absolutely love using literature as a method for teaching kids and teens about money. When kids become engaged and intrigued by a story, you have a starting point for excellent conversations. Focusing the conversations on the money concepts embedded in the story can make abstract financial topics more relevant to the kids. Here are some of my favorites. I always recommend that parents read the books first to make sure you approve of the messages in the books. This is especially true for the books for teens. Read my descriptions of Money Hungry, Make Lemonade and My Life in Pink and Green. What are your favorite books for kids and teens that can teach about money? I would love to expand our list. Please share in the comments below. Happy reading! Thanks for such a great list. I don't have kids yet but I am constantly tagging and book marking things I will want for when they do come along. I will definitely reference this post. Great idea. I never really thought about getting a book about money for the kids. I don't know why I wouldn't but it just never crossed my mind. Hope your kids enjoy them. Most of these are classics and should be at your local library. Let me know how it goes! Not only books - try games as well. Our 10 year old loves Monopoly and also Cashflow. And he is quite good at both. Games are fun and educational too!